Whenever I’m about to travel, my digital camera is the first thing I pack. It’s an incredibly cost-efficient way to create a record of my travels. There are many obvious ways to utilize a digital camera while traveling. One, you don’t need to make prints (unless you want to). I almost never make prints unless I have a specific need for a physical copy of the photo. Instead, I just keep all of the digital images on my computer and use them with my computer monitor as an effective digital picture frame. Two, it’s very easy to filter the images and get rid of the ones you don’t want or need. All you have to do is hit the delete button instead of keeping that out-of-focus shot. A digital camera means no need for film and little or no need for postcards. Beyond that, though, digital cameras offer other possibilities. Did you take a great shot of a particular location while traveling? Turn that shot into a print, put it in a tasteful frame, and you have a great home decoration or even a potential gift for someone. There’s even the possibility of selling the image or selling prints of the image if you’re willing to go that route. (Generally, these options only come about with a high-end camera, though). A digital camera is a very effective tool for saving money beyond mere travel, too. For one, you can use it to take apartment pictures before moving in. This way, if there’s anything that’s worn or slightly damaged when you move in, you have proof that the wear or damage preceded you, which can help with getting your deposit back after the rental. Another use is for insurance claims. 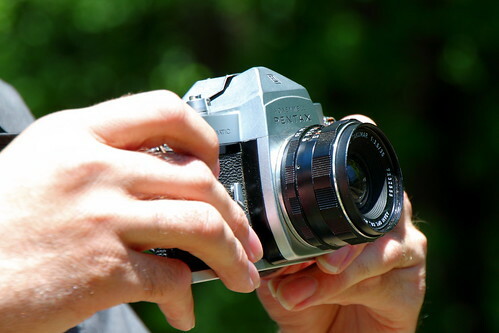 Taking digital photos of your damage and getting those images to your insurance agent quickly can get you the cash you need to fix things up right away. I often use my digital camera for memory enhancement. I’ll take pictures of things I want to remember or things I want to research later. Then, all I have to do is flip through my pictures later on and I’ll see those things that I wanted to recall. The best option for most people in terms of digital photography is a low-end digital camera or a higher-end cell phone. These options can take high-quality digital photographs by the thousands, and the startup cost is quite low. I consider a digital camera to be a very effective frugal purchase for those who do not have one, though I don’t see the need to regularly upgrade such a camera. I’m still using my second digital camera (purchased in 2007, after my first one from 2002) without any problems and I’ve taken literally tens of thousands of pictures. The value of those pictures, from helping me to remember things to storing family and vacation images, is well worth what I’ve put into those cameras.